Contrary to popular belief - or, at least, to what many of you may be thinking - BlackBerry is not dead. Yes, it's true that the Canadian handset company that once ruled the smartphone market is struggling right now -- but it's currently undergoing lots of changes internally and from the looks of it, under its new leadership, BB could well make a decent comeback later this year. 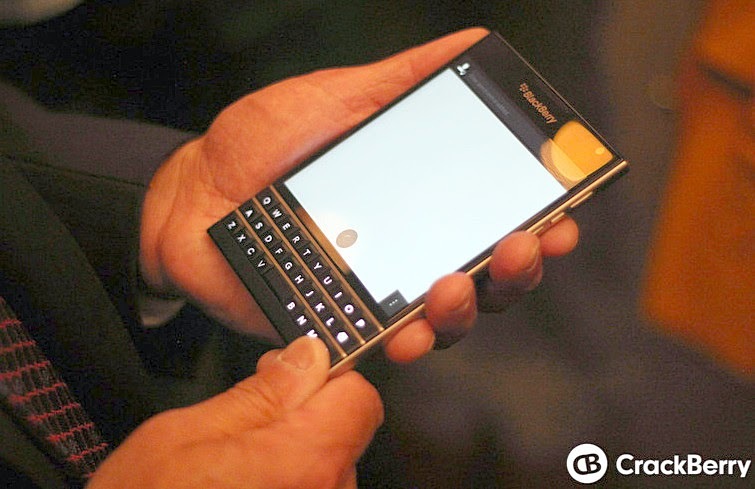 New BlackBerry CEO, John Chen, holding up BlackBerry Passport (left) and BlackBerry Classic set to be released come September and November 2014, respectively. In the Philippines, the last time we heard anything of note relating to or happening at BlackBerry was at the launch of BlackBerry Q5, which happened on August 23, 2013 at the New World Hotel in Makati City. After that, news about the brand in the country were few and far in between. Actually, most of the major things that took place at BlackBerry in Q4 2013 and the earlier part of 2014 had almost nothing to do with its key markets around the globe (including the Philippines) but were more in line with changes in leadership and business strategies. On November 4, 2013, BlackBerry fired its then CEO, Thorsten Heins, after BlackBerry Z10 and Q10 - both released under his term - failed to get a significant share in the market and rescue the brand from its woes. In the same month, the handset company abandoned Fairfax Financial's $4.7 Billion corporate rescue bid and, under the leadership of new CEO - John Chen, opted to create a $1 Billion fundraising plan to save the brand. In an interview with Bloomberg last January 2014, John Chen said, "I personally love the keyboards -- so you will look to Blackberry going forward to do keyboards — I wouldn't use the word exclusively, but predominantly." BlackBerry Passport, which features a 4.5-inch 1440 x 1440 pixels display on top of a fretted full QWERTY keyboard with oddly wide keys and runs BlackBerry 10.1 operating system with a Snapdragon 800 chipset, is obviously a product of the company's new strategy of releasing devices that will highlight all the features that BlackBerry fans from the last five years have come to love about their handsets while staying abreast with that its competitors are offering to consumers. Most of my friends who remain to be big BlackBerry fans told me that they didn't upgrade to either BlackBerry Z10 and BlackBerry Q10 when the phones were released because they thought the devices didn't have the key features of their BlackBerry Bold 9900 -- especially the trackpad under the display, which was - interestingly - a big deal for them. "It's small but it allowed us to navigate the interface faster," they shared. 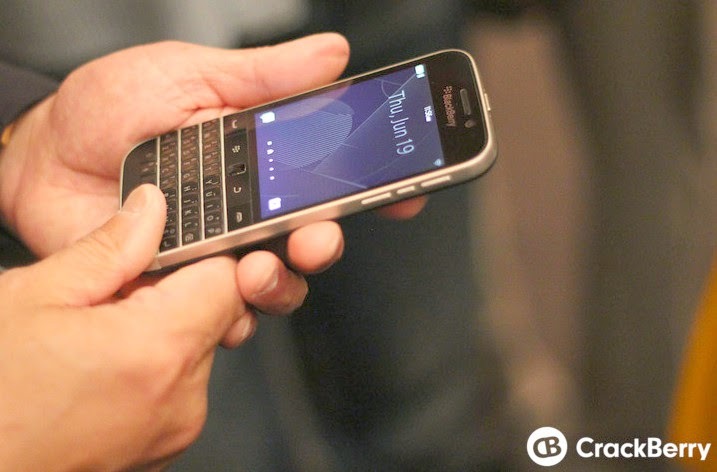 Well, users who fell in love with the BlackBerry Bold 9900 will be glad to know that BlackBerry Classic - replete with a trackpad - looks almost like the 2011 flagship release. It is expected to come with a 3.5 inch 1440 x 1440 pixels touchscreen display, a full QWERTY, and - just like Passport - to run BlackBerry 10.1 OS with a Qualcomm Snapdragon 800 SoC. Talk about the big upgrade loyal BlackBerry fans (or those who weren't tempted to jump ship to Android, WP, or iOS) have long been waiting for. I think there are definitely many issues that BlackBerry needs to address and fix to get back on track, including its odd pricing strategy (Z10, Q10, and Q5 were all overpriced upon launch, if you ask me), late product releases, and stagnant app market. The previous leadership had lots of shortcomings (For one, I don't remember them having a solid digital campaign with tech bloggers to promote their devices, which is a pity because other brands - even local ones - are very actively tapping us.) but I'm hopeful that the new one will bravely rectify all the past mistakes.